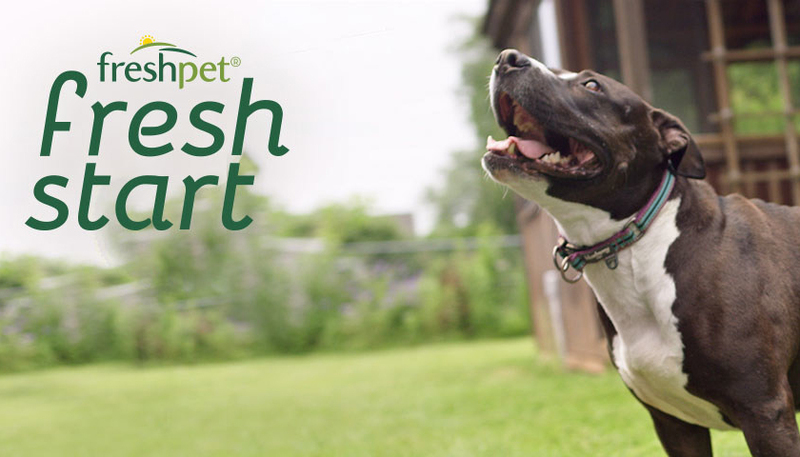 Freshpet® Inc., a maker of real, all-natural, fresh food for pets in the U.S., has announced the launch of its ‘Fresh Start’ movement, a philanthropic platform that aims to spotlight overlooked shelter animals who deserve a fresh start in life. The program, in its inaugural year, will allow consumers the opportunity to get involved and make a difference to help underdogs (and cats) find their forever homes with a simple click of a button. To kick start the program, Freshpet launched a microsite that invites animal lovers everywhere to make a difference in the lives of dogs and cats looking to be adopted – like Princess and Lauren Rose, featured on the site, who were once-neglected dogs that defied all odds and now live happily with their forever families. For its first ‘Fresh Start’ project, Freshpet is aiming to help Animal Alliance of New Jersey build a rehabilitation wing to foster animal development, providing even more dogs and cats the attention they need to jumpstart the next stage of their lives. Freshpet is asking pet lovers to help spread a message of hope: that shelter animals who come from difficult or troubled pasts can make amazing pets, if given a chance. To start making a difference for these animals, Freshpet is helping build a rehabilitation wing for recovering rescue animals. From now through April 20 Freshpet will donate another dollar towards construction of the rehabilitation wing for every social share of the ‘Fresh Start’ video* on Freshpet.com/Fresh-Start. Consumers who prefer to donate directly to Animal Alliance of New Jersey can also do so on the microsite, with 100 percent of funds benefiting the organization and shelter animals looking to be adopted. In a second phase of the campaign, users will be able to nominate other nonprofit organizations for future ‘Fresh Start’ consideration. At Freshpet, the magic starts with the fresh ingredients used in its Bethlehem, Pennsylvania, kitchens, where every meal is made from scratch. They gently steam our foods so our ingredients retain their natural goodness and provide the essential nutrients dogs and cats need for boundless energy and healthy lives. There are never any preservatives, which is why Freshpet meals are found in more than 18,000 of its refrigerators across the United States, Canada and the United Kington in grocery, pet specialty and natural food stores.